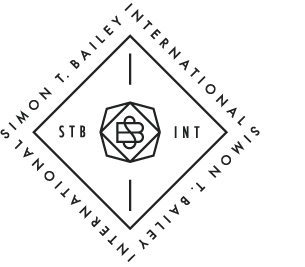 This is the privacy notice of “Simon T. Bailey International, Inc.” In this document, "we", "our", or "us" refers to Simon T. Bailey International, Inc.
Our registered office is at 13506 Summerport Village Parkway, Suite 324, Windermere, FL 34786, USA. WHAT BASIC INFORMATION DOES THE COMPANY COLLECT? In operating the Site or otherwise offering the Service, we may include registration, online surveys, and other online forms that ask users to provide their names, e-mail addresses, age group, birth date and other contact information, as well as the following categories of information: income range, country of residence, zip code, and gender. (b) COOKIES. From time to time, we may use the standard “cookies” feature of major browser applications that allows us to store a small piece of data on your computer about your visit to our website. We do not set any personally identifiable information in cookies, nor do we employ any data capture mechanisms on our website other than cookies. Cookies help us learn which areas of our site are useful and which areas need improvement. You can choose whether to accept cookies by changing the settings on your browser. However, if you choose to disable this function, your experience at our website may be diminished and some features may not work as they were intended. (a) PERSONAL INFORMATION. We will not share your personal information with any third parties without your consent, except as necessary to provide you with the services offered by us or to comply with the law. We may use your personal information to verify your identity or to check your qualifications. We may also use your contact information to inform you of any changes to the Site or Service, or to send you additional information about Company. If you give your permission during the account registration process, we may share your contact information with our business partners or other companies so that they may send you promotional materials. (d) DISCLOSURE OF PERSONAL INFORMATION. We may disclose personal information if required to do so by law or in the good-faith belief that such action is necessary to (1) conform to the edicts of the law or comply with legal process served on the Company or its parent company, subsidiaries or affiliates, (2) protect and defend the rights or property of the Company or the users of the Site or Service, or (3) act under exigent circumstances to protect the safety of the public or users of the Site or Service. (e) SALE OF INFORMATION. In order to accommodate changes in our business, we may sell or buy portions of our company or other companies or assets, including the information collected through this Site or otherwise collected in connection with the Servce. If the Company or substantially all of its assets are acquired, customer information will be one of the assets transferred to the acquirer. (f) ACCESS TO INFORMATION. Unfortunately, we do not maintain any procedures for you to review or request changes to the information that we collect about you, except that you may request that we remove all information about you from our database by contacting us in accordance with Section 5.1 below. At any time you may review or update personally identifiable information that we hold about you, by signing into your account on our website. PUBLIC FORUMS. The Site may include interactive forums such as blogs with comment areas. Please remember that any information that is disclosed in these areas becomes public information and you should exercise caution when deciding to disclose your personal information. THIRD PARTY WEBSITES. The Site may contain links to other websites. If you choose to visit other websites, we are not responsible for the privacy practices or content of those other websites, and it is your responsibility to review the privacy policies at those websites to confirm that you understand and agree with their policies. At the point of payment, you are transferred to a secure page on the website of WePay/PayPal/Stripe or some other reputable payment service provider. That page may be branded to look like a page on our website, but it is not controlled by us. The Site and the Service have security measures in place to prevent the loss, misuse, and alteration of the information that we obtain from you, but we make no assurances about our ability to prevent any such loss or misuse, to you or to any third party arising out of any such loss, misuse, or alteration. If your complaint reasonably requires us to contact some other person, we may elect to give to that other person some of the information contained in your complaint. We do this as infrequently as possible, but it is a matter for our sole discretion as to whether we do give information, and if we do, what that information is. This website is operated in the United States and third parties with whom we might share your personal information as explained above are also located in the United States. If you are located in the EEA or elsewhere outside of the United States, please be aware that any information you provide will be transferred to the United States. By using this website, participating in any of its services and/or providing your information, you consent to this transfer.